The decision was made public in a media conference call at UCSC early this afternoon, hosted by David Yager, dean of the Arts Division, and Marco Barricelli, artistic director of SSC. Yager noted that SSC successfully cut expenses and streamlined its operations in 2009, and that ticket sales were 88% of the projected goal for the season. He added that due to highly successful fundraising efforts from last December, a portion of those funds helped SSC meet its projected budget for the year. SSC raised $419,000 in December after it was announced that the company would have to raise $300,000 in a less than two weeks to continue its annual season in 2009. Funds came from more than 2,000 individual donors throughout Santa Cruz County and nationwide, with the majority of gifts in the $25 to $100 range. "What has been wonderful about this season is that so many different people deserve credit for Shakespeare Santa Cruz's success," said Yager, "including Arts Division staff, Development staff, Shakespeare Santa Cruz, the community, all the people who bought tickets (including faculty and staff), and the many financial supporters who donated from all across the country, and as far away as Italy,"
"We will focus in the coming year on continuing to maintain the high quality of the performances, and continuing to integrate the company into the campus's core academic mission," Yager added. 2010 will be the third season for SSC artistic director Barricelli, a veteran theater actor whose resumé includes stints at A.C.T. in San Francisco and at Ashland's Oregon Shakespeare Festival. "I am thrilled that after many trials and tribulations, Shakespeare Santa Cruz completed an extraordinarily successful season for the summer of '09--both artistically and fiscally," Barricelli noted. "I am extremely proud that we were able to maintain the level of artistic integrity everyone has come to expect from SSC, while reining in the expenditures and actually coming in under budget in that regard." 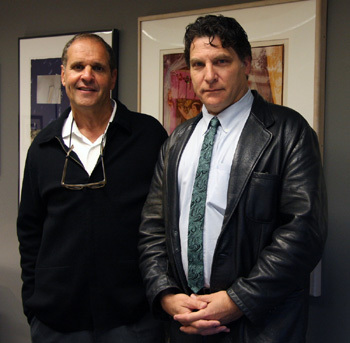 "I am also extremely pleased to begin this new partnership with Dean Yager in the Arts Division," Barricelli added. "I am confident that he and I will be able to model a new SSC that builds on the fiscal success of this season, while together we remain uncompromising about SSC's continued artistic growth." Next up for Shakespeare Santa Cruz: Barricelli and award-winning UCSC theater arts professor Patty Gallagher will reprise a special dramatic reading of Mark Twain's The Diaries of Adam and Eve, October 16-17 at the Main Stage Theater on the UCSC campus. "Shakespeare Santa Cruz can be held up as an example of a cherished program that was able to persevere with a combination of efficient operations and community support," noted UCSC Chancellor George Blumenthal. "I commend and thank the patrons and friends of Shakespeare Santa Cruz, and the dedicated volunteers and staff who have worked tirelessly and creatively to achieve this wonderful success story." For more information about Shakespeare Santa Cruz, go to: www.shakespearesantacruz.org. Tickets for the October 16 and 17 performances of The Diaries of Adam and Eve may be purchased online at santacruztickets.com, or by calling the UCSC Ticket Office at (831) 459-2159.